Gary Werskey on the project run by Lady Birdwood and the artist AH Fulwood to produce 50 000 Christmas cards for Anzac troops to send home in 1915. A review by Emily Gallagher in Inside Story of For country, For Nation, the exhibition at the Australian War Memorial on Indigenous service in defence of country, both in and out of uniform. Analysis as in the heading: the Budget in these areas has some good bits and some not-so-good bits and the jury is still out on the total cost of commemorating World War I and the century of military service. Honest History’s David Stephens asked a video question on the ABC program Q&A. The question covered the Monash museum at Villers-Bretonneux and the overall commemorative spend by the government. The responses from Minister Tehan, the panel, the audience and social media commentators suggested the palmy days of ostentatious commemoration are past. Honest History sent an email to the Minister reminding him of the overall spend figures. The Sir John Monash interpretive centre at Villers-Bretonneux is going to be even more expensive than it is immersive. In other words, it will cost $100 million of your money and it will have lots of flashing parts – which drew many adjectives from the Department of Veterans’ Affairs (appearing before the parliamentary Public Works Committee in 2015) about the hi tech features which will appeal greatly to the busloads of European schoolchildren (and probably somewhat fewer Australian tourists) who visit after the opening on Anzac Day 2018. We do not propose to add any further analysis to our previous material on this grandiose and boastful project. We noted 16 months ago that the announcement of the awarding of the construction contract was taken out with the pre-Christmas trash, suggesting that the new Turnbull government was rather less gung-ho (and perhaps more embarrassed) about the project than its predecessor. 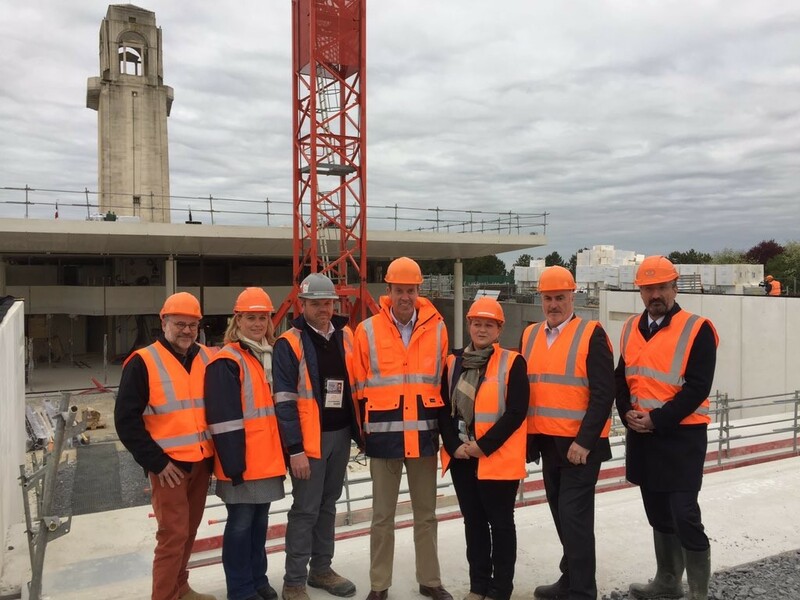 There hasn’t been much said about the Monash centre since, although Minister Tehan recently appeared on Twitter in a hard hat, to mark the placement of the roof on the building. The roof floats above a substantial excavation, necessary so that the new work will not detract from the existing memorial. A previous minister and his senior bureaucrat had divergent views on whether it was the excavation or the whizzo immersive technology that accounted for the biggest whack of the total cost, but that minister fell on his sword before we heard whether the disagreement had been resolved. Last weekend also, Canberra Times reporter, Megan Doherty, had a nice human interest story (with ‘supplied’ photographs) about the Canberra family who had relocated to Villers-Bretonneux to manage the project. Any local angle plays well in the Times, though it was a bit difficult to work out where Ms Doherty’s reporting ended and DVA puffery began. Rather more usefully, wearing not a hard hat but his hats as Minister for Veterans’ Affairs and Minister for Defence Personnel, Mr Tehan recently made announcements on getting veterans playing sport, recognising female veterans, benefits to veterans, assessing claims of sexual and physical abuse in the Australian Defence Force, veterans’ employment, and mental health for veterans. Not a bad record in a month when there were many demands on him to appear at former battlefields and make speeches. Elsewhere we have posted: Michael Piggott’s review of two National Archives exhibitions on Indigenous service (the exhibitions complement the puzzlingly ambivalent For Country, for Nation exhibition at the Australian War Memorial); Jo Hawkins’ review of Catherine Bond’s book on the law surrounding Anzac (particularly the protection of the use of the actual word); and David Stephens’ review of Chris Masters’ DVD set, Afghanistan: The Australian Story. 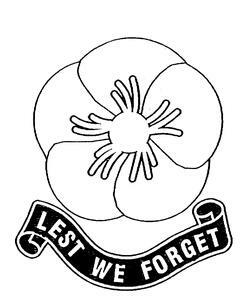 Talking of intellectual property, the subject matter of Catherine Bond’s book, we researched whether the words ‘Lest We Forget’ were a registered trade mark, as was claimed in an irate comment on our Facebook page and by shock-jock Michael Smith. According to IP Australia, the Commonwealth’s intellectual property organisation, trade mark protection only covers the class of goods and services for which the trade mark is sought. So it was quite OK, for example, for the AFL to etch ‘Lest We Forget’ into the grass of the MCG for the Anzac Day match, for Abdel-Magied (and Honest History) to use the words in argument, and, indeed for anyone to use the words when and wherever they like, other than on artificial flowers, ribbons, and bottles of booze. On the other hand, the words are used so often and so automatically, that the remark of Race Discrimination Commissioner Tim Soutphommasane (Reclaiming Patriotism: Nation-Building for Australian Progressives, published in 2009) may well be relevant: ‘Loving your country does not mean adhering to unquestioned myths or mindlessly repeating slogans, but being prepared to contribute to the improvement of your community and culture’. In 2014, 88% of the Memorial’s visitor book’s signatories were Australians. The overwhelming majority of visitors to the memorial are Australians. As for the school tour groups visiting the French-Australian museum at Villers, they are almost exclusively Australians. This will be the same for the Monash Centre. “The French” will not visit the Monash centre in numbers, some local villagers may – “the French” have much better cultural (and much less jingoistic) activities to undertake. (If Australian history was told in a “cultural history” way like at the Historial of the Great War, they probably would be interested). May be a few thousands will visit during the first year but that will be it. They have grossly over estimated the number of visitors who will come (re. previous comment) – it’s again the colonial thing “look, others think we are great” when in fact it’s just an Australian organised extraterritorial show for internal Australian consumption. The above-mentioned museum at the school (such a great museum and story by the way) received about 15 000 Australians last year (against forming the overwhelming majority of visitors) – I wonder where they could get 90 000 visitors at the Monash Centre from?…. But Anzackery is all about big numbers as The Honest History book reminds us. Somme Tourisme, a state run institution in northern France has estimated that each year of the centenary will see 40,000 Australians come to the Somme – so again, the 90,000 figure (http://www.coxarchitecture.com.au/project/sir-john-monash-centre/) will be hard (nay impossible) to reach. Anyhow, it will be interesting to visit the Monash Centre when it opens to see if a great opportunity to understand a global war (with many nations fighting together on the battlefield) has been missed or not. Let’s hope not! I visited the place in late December and the works were fast progressing. Also took the chance to visit the newly set up trail at Mont Saint Quentin and, in both instances, I was alone. I would like to comment on the Monash Museum – when there last year I spoke with a local lady who was most upset by its construction. She was of the opinion that most locals supported the museum at the school and did not want another. Nor had their opinions been sought. Others I spoke to believed that it should have been built at Pozieres, but politics and politicians intervened to have it moved elsewhere. Only time will tell if it has been a waste of tax payers’ money or whether the projected 90,000+ visitors will in fact visit. I think not.